The Superfly 8 is the highest level aluminum bike in the line-up, and it was bred with racing in mind. It's speed is only half the story though; it's handling and specs make it fully capable when the trail get's rowdy. 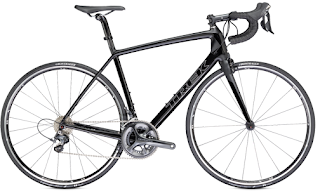 Trek's Alpha Platinum Aluminum frame is hydroformed to create the most sophisticated shapes for the lightest weight, and are finished using Trek's smooth-weld finishing process. The frame is equipped with G2 geometry and a 100 mm Float up front to lead the way as fast as possible. The bike looks clean and simple thanks to sleek ports at the head tube and near the seat tube, allowing you to run your derailleur housing directly through the frame, keeping the cable protected from the elements and your bike running smooth, clean and quiet. Eric Melson of Blister Gear Review said this of the Superfly's riding characteristics: "Right away, I noticed the lateral rigidity of the press-fit bottom bracket and the thru-axle rear end. The power transfer was very impressive, something that's especially noticeable when I'm standing for long periods of time or during short, punchy climbs when I drop a gear and mash. My position while climbing is low, and I lean forward over the front wheel, which helps me power up steep grades. This bike likes to spin, and if you've got the lungs, you can cover some serious ground in the hills. ... 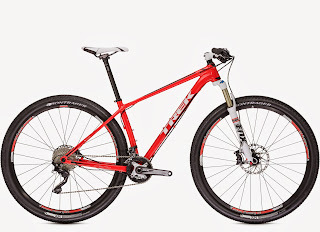 I'm confident making techy moves and lifting the front end thanks to the bike's relatively short chainstays, and overall I've appreciated its snappiness and solid power transfer." 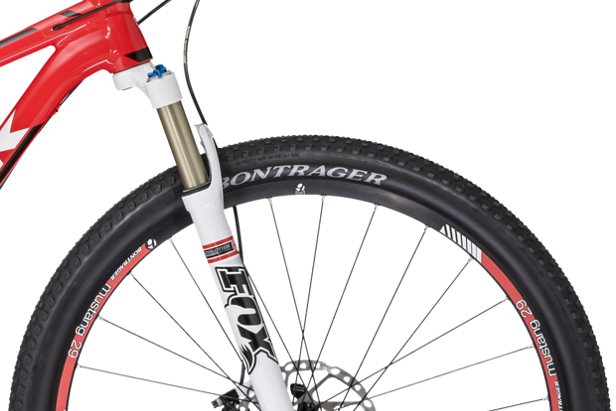 The front fork of the 2014 Superfly 8 is the Fox Evolution Series 32 Float w/CTD, damper, 15QR thru axle, custom G2 geometry with 51mm offset and an optional 100mm of travel. When climbing or sprinting, simply turn the lockout switch to the "locked out" position to maintain all the power of your stroke. 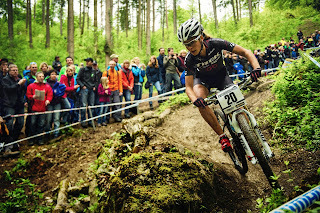 When descending, turn the lockout to the "fully open" position to eat up most of the bumps and keep you rooted in the ground, rather than be readily tossed in the air. Of course, the 29 inch wheels help with that as well. Next, the drivetrain is composed of Shimano SLX with a Deore XT Shadow Plus Rear Derailleur, making chain slap and dropped chains a thing of the past. 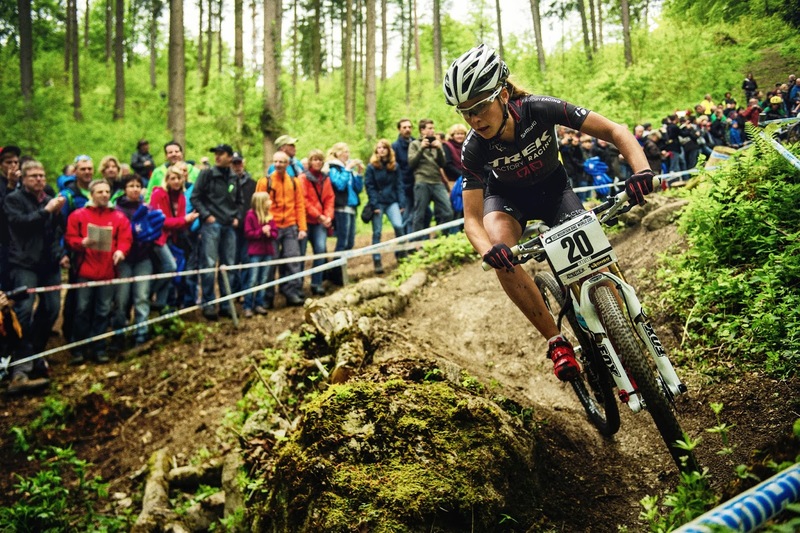 A 2x10 drivetrain gives you plenty of gears to use while saving some weight. 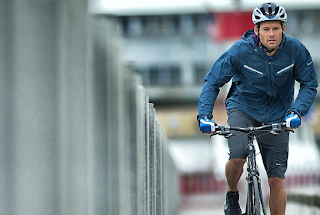 The SLX hydraulic disc brakes stop you well, even in muddy or wet conditions. Plus, the newly designed levers are practically a joy to squeeze. Plus, the rear brake caliper is integrated into the chain/seat stays (intended to increase stiffness). Tubeless-ready wheels, SLX discs and Bontrager Race Lite controls top everything off nicely. Speed, efficiency and fun: Your Superfly awaits! and test ride your favorite!